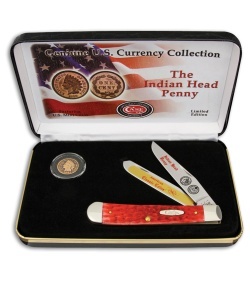 The Case Indian Head Penny Trapper with jigged red bone scales is a perfect addition to any collection. 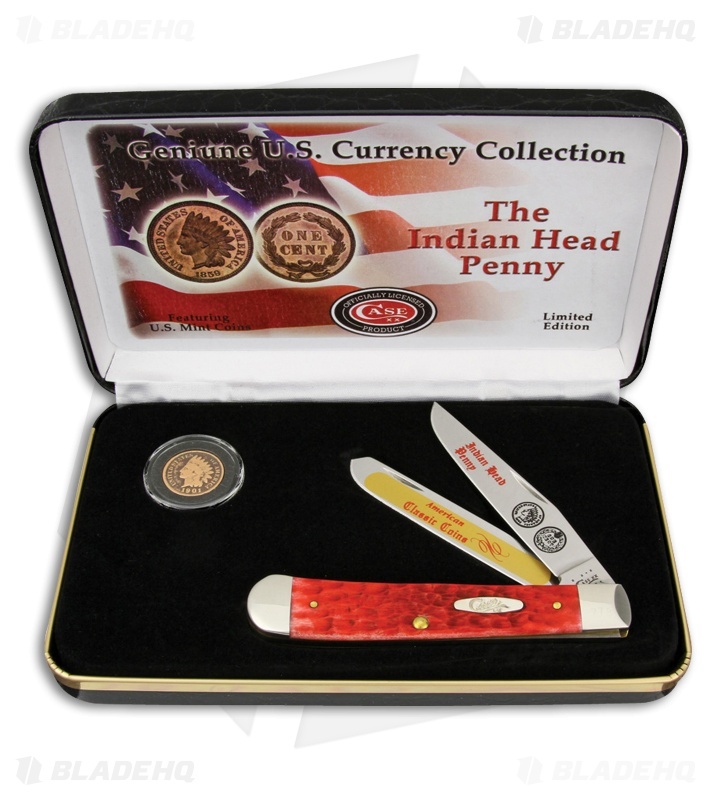 Tru-Sharp surgical stainless steel blades are feature full color etching of "Indain Head Penny" and "American Classic Coins". Attractive red jigged scales are comfortable and lightweight in hand. Polished nickel silver bolster with brass liners ensures a lifetime of use. Includes encased US Mint Indian Head Penny, full color leatherette display box and Certificate of Authenticity.